Presenting the now and the new from the world of colourful precious stones that every woman should own. 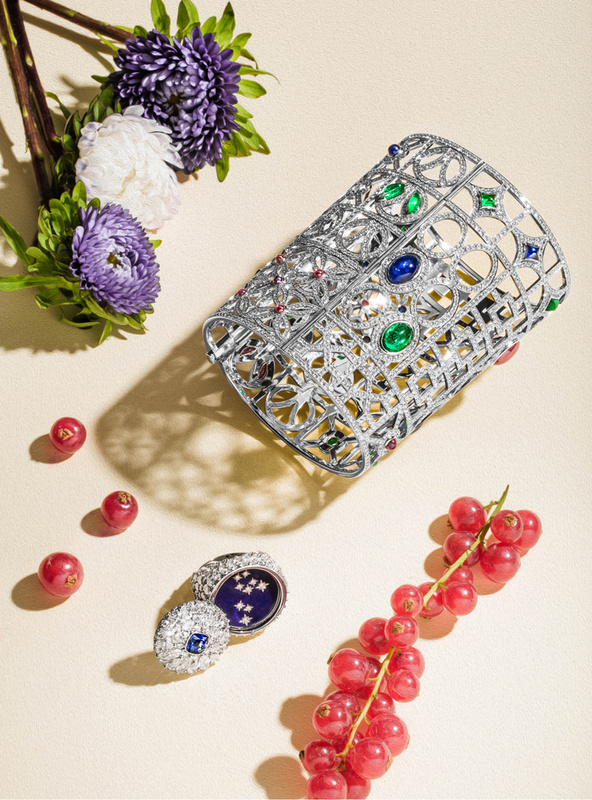 PIAGET HIGH JEWELLERY COLLECTION: Claustra Cuff Bracelet and Lion Constellation Sapphire Ring. Leading jewellery houses know what pleases the eye, and in most cases it’s vibrant colours and anything that sparkles. Bringing two of these desires together in one piece of jewellery has an instant appeal as not only a bold turquoise necklace can dress up an outfit, but it can make a woman feel instantly uplifted. 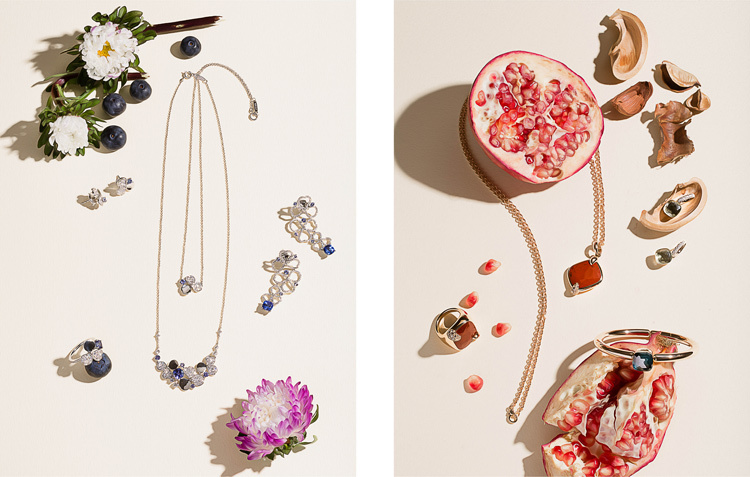 It’s a youthful alternative to the traditional idea of high-jewellery, especially when brands play with shapes and positioning of the stones to appeal to customers hungry for unique designs that can showcase their personality. For the October Issue, we wanted to focus on the classic and latest releases from a range of jewellery houses in order to showcase the vast variety of pieces that can add a wow factor to an evening gown, or elegantly dress up a white shirt and jeans. When selecting, consider the occasion and wearability. Bold earrings in a chandelier design create a bigger impact than delicate studs, while a stacking of bangles can act as a day-to-day alternative to a wide sparkling cuff. Also, think about longevity as there is something truly special in investing in a piece that can be passed down through generations. CLOCKWISE: Yellow gold, malachite, diamonds. Pink gold, carnelian, diamonds. White gold, turquoise, diamonds. CLOCKWISE: Necklace in yellow gold, lapis lazuli, turquoise and diamonds. Ring in yellow gold, lapis lazuli, turquoise and diamonds. Bracelet in yellow gold, lapis lazuli, turquoise and diamonds. Earrings in yellow gold, lapis lazuli, turquoise and diamonds. 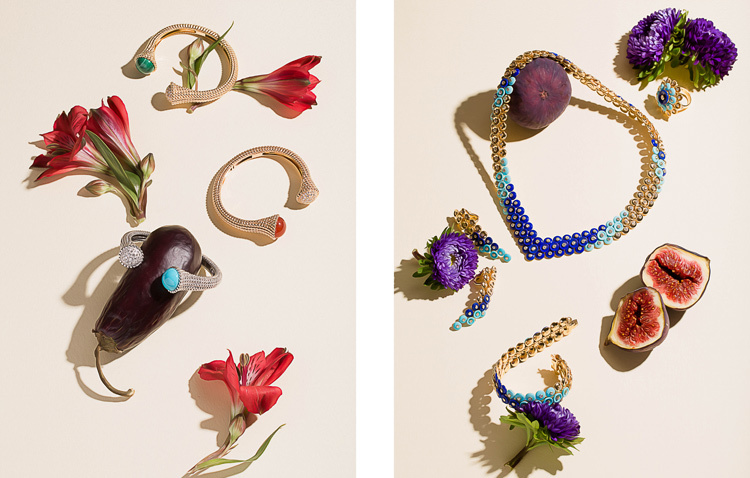 CACTUS DE CARTIER: Ring, necklace and earrings in yellow gold, chrysoprases, lapis lazuli, diamonds. 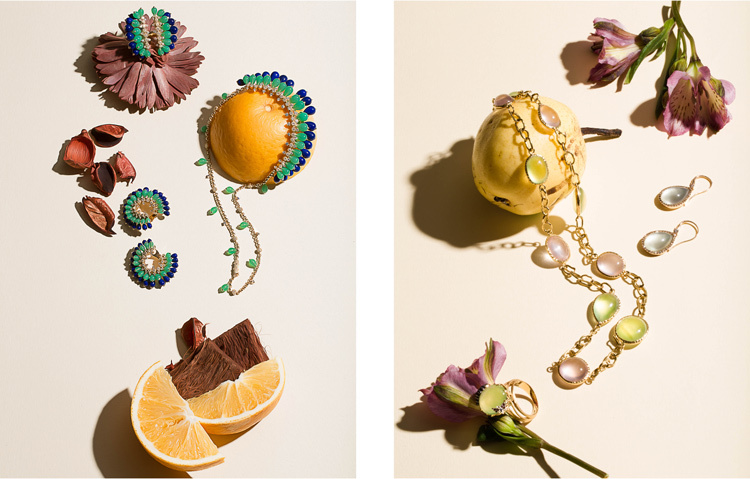 ROBERTO COIN: Ipanema necklace, Cocktail earrings and Garden ring. TIFFANY PAPER FLOWERS™ : Large necklace with diamond and tanzanite cluster necklace in platinum. Small necklace in diamond and tanzanite flower pendant in platinum. Stud earring in diamond and tanzanite flower earrings in platinum. Drop earrings in diamond and tanzanite open drop earrings in platinum. Ring in iamond and tanzanite flower ring in platinum. POMELLATO: Ritratto pendant, Red Jasper with brown diamond with rose gold chain. Nudo earrings prosolite and diamond. Nudo bracelet, London Blue Topaz. Ritratto ring, Red Jasper with brown diamond.